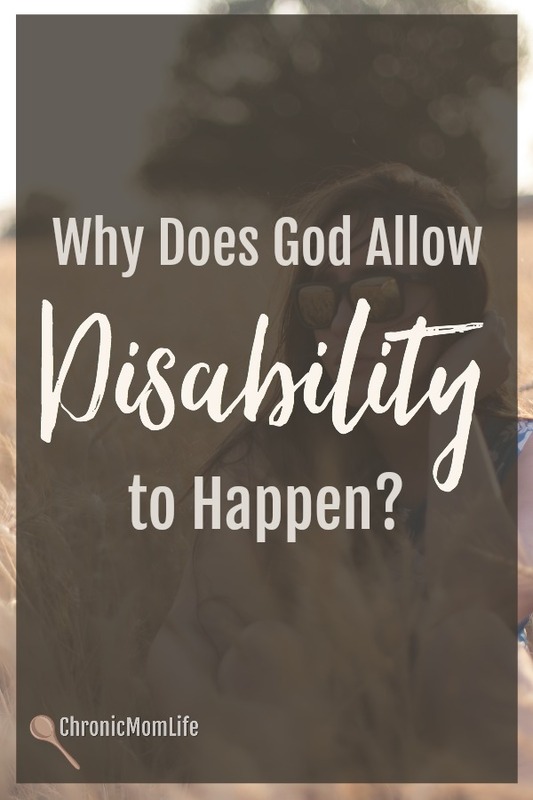 Why Does God Allow Disability to Happen? Unfortunately some Christians think that that every illness or disability must be the result of a lack of faith or sin in a person’s life. What a discouraging burden to put on someone who’s already struggling! 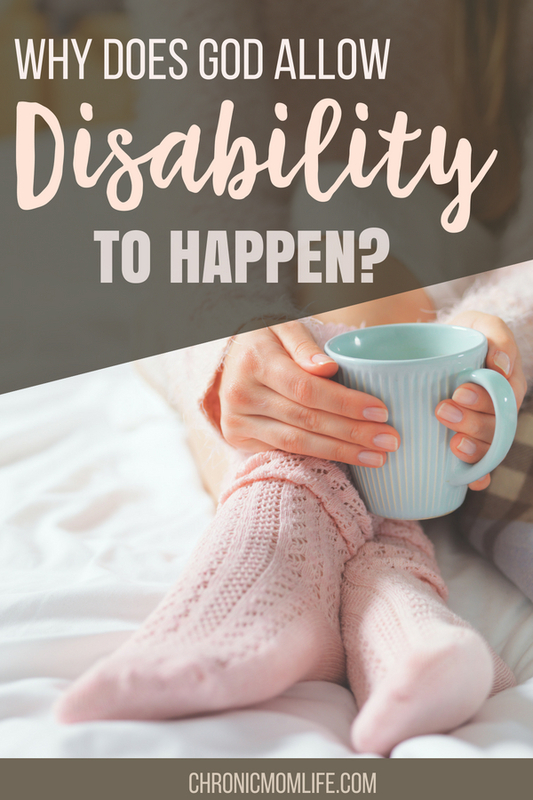 We don’t become disabled because we’re being punished for something. Neither are we defective because even in our disability, we’re fearfully and wonderfully made and God has a plan and a purpose for our lives. 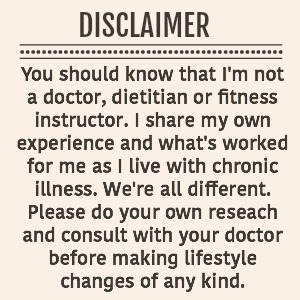 I don’t like living with chronic illness, pain or suffering. I’d take the healing in a minute. But I’ve come to the place that God allows suffering for His purpose. I’ve learned many life lessons as a special needs mom and as a person with a disability. It’s taught me to be patient and to persevere. It’s deepened my prayer life. And it has given me a deeper compassion for the marginalized in our society which is also the heart of God. Being disabled with dystonia has also forced me to accept my limits and not be so self sufficient which in all honesty, I hate. 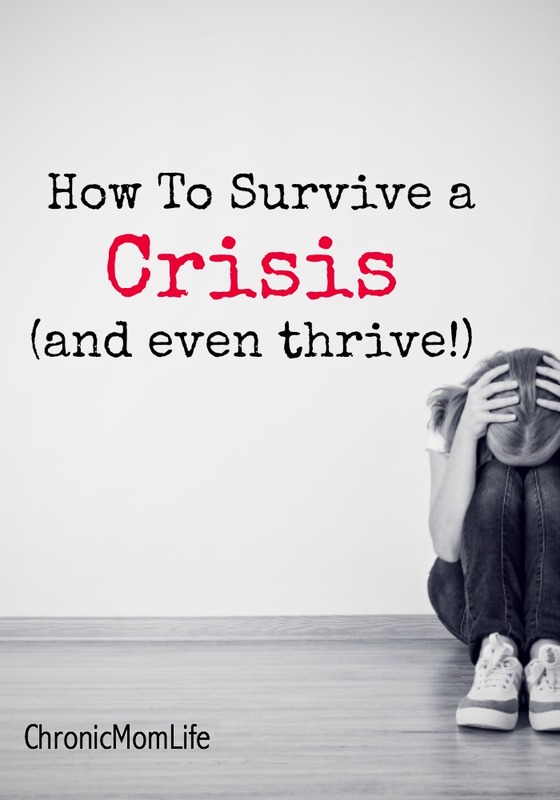 I don’t want to need anybody or ask for help, but when I became incapacitated for a time there wasn’t much choice but to learn to rest in God’s care and provision. God can use any and every illness or disability to bring glory to His name. At times He may do that through a physical healing but sometimes He works in the situation by giving you the supernatural strength to persevere to keep on going even when you’re struggling with chronic illness or disability. Living with disability is so hard. I have days where I’m functioning relatively well and other days where I’m leveled. It’s depressing and lonely at times. But God has been my strength throughout my disability journey and He has always been faithful to provide. I’ll never know this side of heaven why I had to experience disability on top of the demands of being a special needs mom. I feel very helpless at times, but I know that He will be with me on the path as I continue on this journey. All I have to do is remember to abide in Him, and to continue in prayer and meditation to seek His will for my life. God, this is hard to ask but let me rejoice in illness and in disability, even as I pray for healing, for I know the plans You have for me are good. Use my disability to bring You glory in all I do. In Jesus’ name, Amen. It’s never too early to start thinking about summer break. If we don’t take the time to do some planning, it can slip by before we know it. 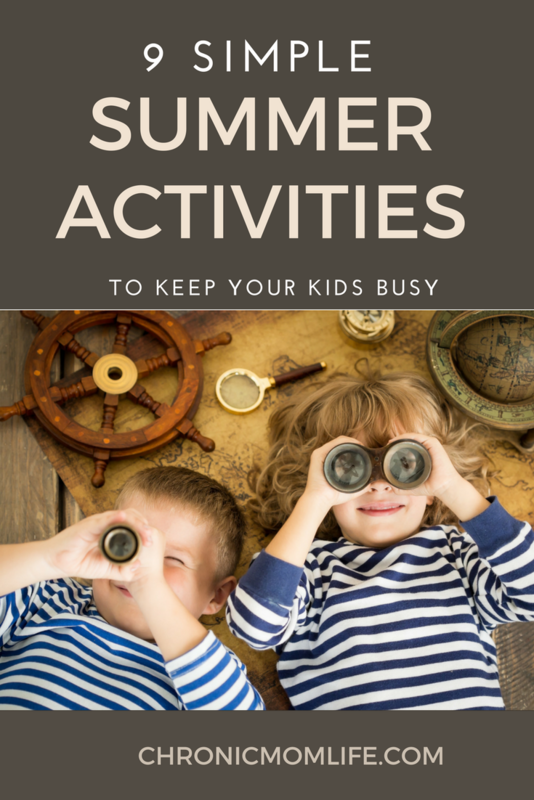 Take some time now to intentionally plan some screen free family summer activities to keep your kids busy. It doesn’t have to be perfect, expensive or even involve travel. The most important thing is that you’re together and creating memories. 1. Get outside. Summer means warmer weather. Warmer weather means more outdoors activities. Consider planning a few weekend picnics in the park. Head out as as a family to the local swimming pool or a beach. Take a hike or ride a bike. Getting outside and being active (away from the screen) is a great way to pass the time in the summer. 2. Check out your neighborhood offerings. Many communities have creative opportunities, many of which are free or low cost. Summer art in the park, arts camps and arts fairs are common activities that families can enjoy. You may also be able to find summer theater or concert series that will give your family something to share and an opportunity to be creative at the same time. 3. Plan and plant a summer garden. There’s nothing like eating a fresh tomato that you’ve planted yourself. 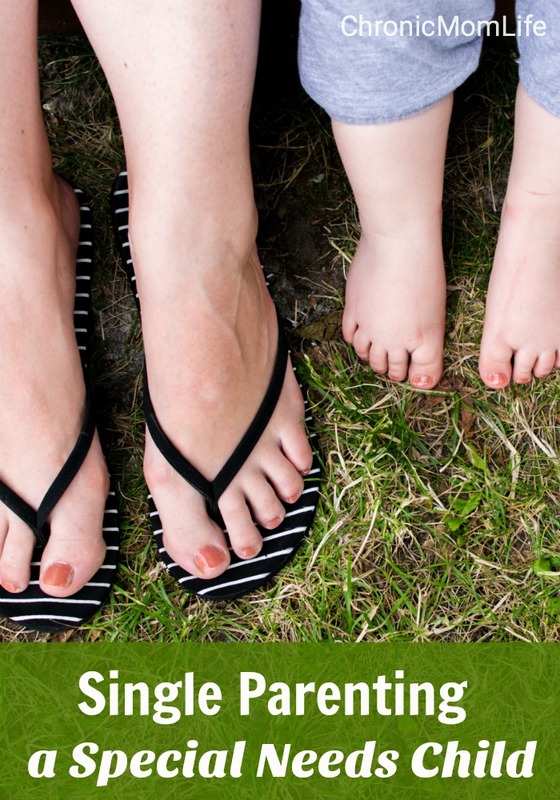 A simple family garden is a great summer activity that you can share with your kids. And if you have a bumper crop, you may even want to consider selling your produce at a road-side booth or stall at the local farmer’s market which would enhance the learning experience. 4. Plan a family read-aloud for the cooler summer nights. Invite extended family members and friends over to join you. You might want to have the adults read a story and let the children act them out. This could become one of the activities they remember most from the summer. 5. Set up a picnic table and chairs underneath a big shade tree or umbrella. Put together a basket of board games the family would like to learn or has enjoyed in the past. 6. Have a water balloon war. You could also buy water guns for everyone in the family and see who can stay dry the longest. Not only will this get the family involved in an activity together, it will keep them active and hopefully cool them off at the same time. 7. Backyard camping. Your family may enjoy camping out but maybe circumstances keep you from taking a camping trip. Don’t let that stop you! Pitch your tent in the backyard and enjoy the same fun just a little closer to home. 8. Plan a random act of kindness each month. Do you know anyone who’s going through a tough time or a charity that needs some help? Do random acts of kindness for people in your neighborhood such as weeding an elderly neighbor’s flower garden, mow a single mom’s lawn, gather canned goods from your neighbors and take them to the local battered women’s shelter or food bank. There are lots of ways to make a difference as a family. 9. Indoor fun works too. Maybe you live in a hot climate like we do or are limited by chronic illness or special needs in your family. There’s still ways that you can make memories and have fun together. Visit your local library, take some craft classes at your local Michaels, Home Depot or Joanne’s, have a tea party, create a fairy garden or catch up on getting old photos into scrapbooks. If you’re having some down time or are homebound, you’ll want to check out Pure Flix for family friendly TV viewing that you can trust. And if you’d like to throw some educational choices in there too, Pure Flix has you covered with homeschool options. P.S. Don’t neglect your own self care..even if it’s just five or ten minutes here and there! These are just a few ideas of things your family can do together during the summer. Take some time to sit down together and talk about things you would like to do. Obviously, everyone will want to do their own thing as much as possible during the summer, but think of the benefit of spending time together as a family. Children grow up so fast, make this summer a season of family memories that will last a lifetime. Stress is an inevitable fact of life. No matter how hard you try to plan out your day, the unexpected happens and that often causes stress. I highly recommend that you try meditation to reduce stress. I’m sure you’ve heard of meditation, but have you actually tried it for yourself? It’s a lot simpler than you may think. One of my favorite things about meditation is that once you get a little practice, it’s easy to do anytime, anywhere. It can be in your car or in a waiting room. There’s no set amount of time you have to do it to reap the rewards. 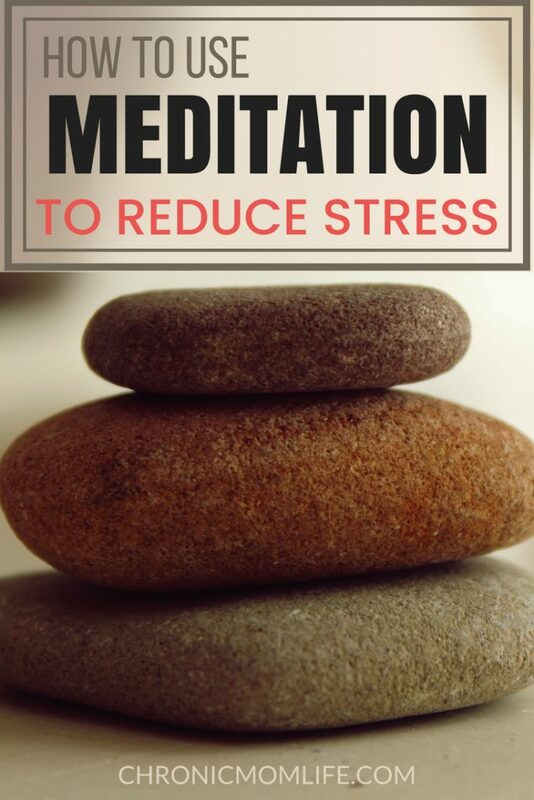 Even a 30 second meditation when you’re in a high stress situation can be really beneficial. However, you’ll get the most relaxation and stress reduction from meditating if you make it part of your daily routine. There are lots of different types of meditations you can explore. An easy place to start is either guided meditations or breathing meditations. For guided meditation I suggest you get an app like Calm or Headspace on your smart phone. All of these have free daily guided meditations you can use to give it a try. Each app also has a paid option for even more meditation practices. 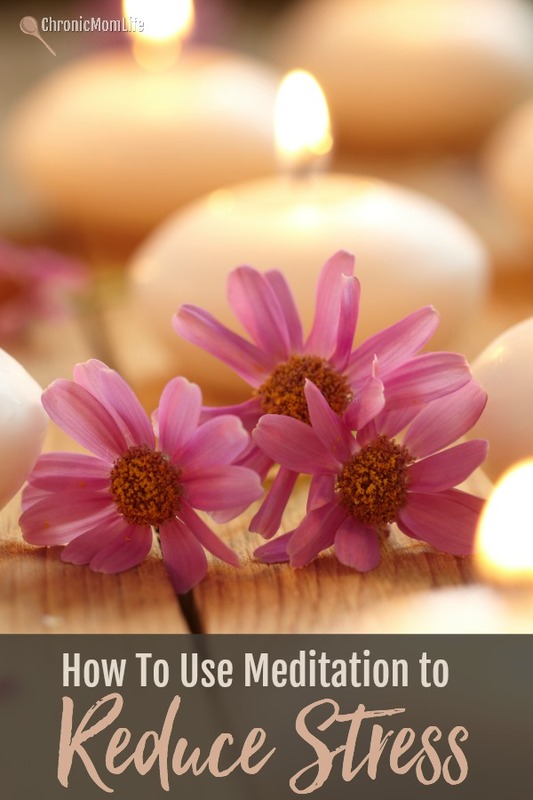 This may be a good option for you if you enjoy the daily practice of this type of meditation. The meditations will gradually get longer and more intense. Think of it as a meditation training program. The other type of meditation you should try is breathing meditation. I love it because it so flexible and something you can do anytime anywhere after you learn the basics. To begin with, sit down comfortable in a quiet space. While you do your first few practices, you want to cut out as many distractions as possible. Close your eyes and focus your entire mind on your breath. Pay attention to how the air feels flowing in and out of your nose. Or focus on the rising and falling of your abdomen as you breathe. The idea is to tune out everything else and only think about and feel your breath. Other thoughts will pop into your head. When that happens, just bring your focus back to your breath. Start by meditating this way for five minutes per day and gradually work your way up to a level you’re comfortable with. Make it a daily habit and also do it for 30 seconds or a minute or two whenever you find yourself in a tense and stressful situation. Another form of meditation to consider is Yoga Nidra. This is a body scan that brings your awareness to various parts of your body and is very relaxing before bed or any time you’re struggling with stress. Meditation is something that you can bring into your daily life. You don’t have to sit on the beach or a mountaintop to reap the benefits of it. It’s simply a matter of staying present where you are & what you are doing. If your thoughts start to drift, gently bring them back. It’s thought that regular meditation offers health benefits such as improving cardiovascular and immune health, slows aging, encourages a healthier lifestyle and of course, reduce stress. As you get rid of the noise and distraction, meditation will undoubtedly increase your awareness and may increase your intelligence. You’ll gain insight into who you really are and what you really love in life. That’s the secret of mastering the art of living and discovering your true talents, gifts and purpose. When you do what y0u love without thinking about rewards, life can be lived with passion, zeal and independence. Anna’s day was off to a rough start. She overslept and was late getting the kids out the door. Traffic was backed up and she realized she forgot to charge her smartphone’s battery. With no time to make coffee, she stopped at a drive through but when she went to pay her bill, the cashier let her know that the customer ahead of her had already paid her bill. This simple act of kindness brought a smile to Anna’s face. Suddenly the day seemed a little better. So she decided to pay it forward and bought a cup of coffee for the person in line behind her. And for the rest of the day, she tried to look for little ways that she could help to brighten someone else’s day. 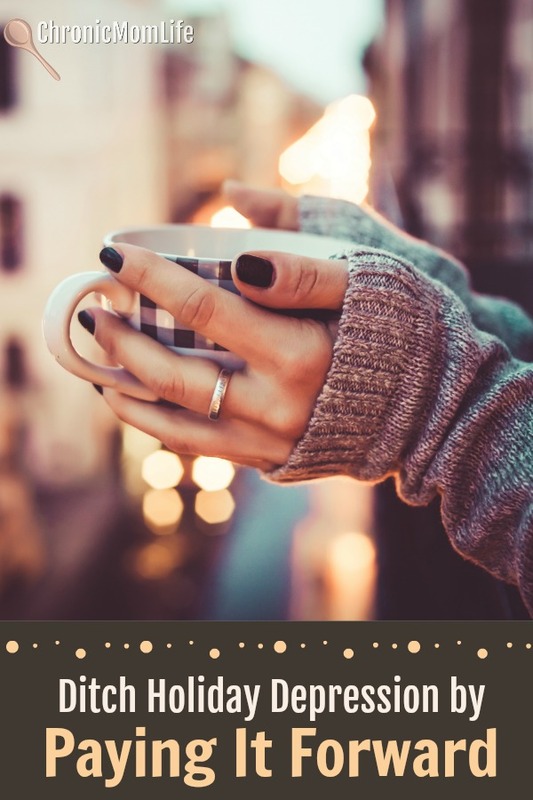 The holidays can be one of the difficult times of year for people who struggling with depression or are grieving. If you know that holidays are a hard time for you, start to think now about how you might pay it forward and do some random acts of kindness. Pay for the coffee of the person behind you. Leave a big tip for your server. Write a sweet note and put it in your child’s backpack. Give a stranger a simple compliment. Call or message a friend going through a hard time. Invite friends who might be alone during the holidays over for coffee or a holiday meal. Kindness doesn’t cost much and it only takes a few minutes to start a chain reaction of giving. The world needs it. God, help me find small ways to give back to others. Show me how I can cheer up those around me who might be struggling. The following post is sponsored by UnitedHealthcare Children’s Foundation to bring awareness to their medical grant program.Thank you for supporting Chronic Mom Life! As a mom of several children with special needs including Neurofibromatosis Type 1, congenital heart defects, scoliosis, and Down Syndrome, I know that one of the most stressful aspects of parenting my children has been making sure that their medical needs were covered. In many families like ours, at least one parent has to leave the workforce to be able to take their child to appointments and therapies, school meetings, as well as provide after school care. The financial pressures are overwhelming, to say the least. And itt’s incredibly frustrating when you do have employer coverage but still have to fight to get things covered that will improve the quality of life for you child. There’s no easy solution that fits everybody, but I wanted to tell my readers about the UnitedHealthcare Children’s Foundation (UHCCF). If you have commercial insurance coverage but your family is still in need of financial assistance with ongoing medical costs, you’re encouraged to apply for a grant. You can read about application criteria here. Families who qualify can receive up to $5,000 per grant with a lifetime maximum of $10,000 per child to pay for expenses such as health care visits, services or equipment that are only partially covered, or not covered at all, by their employer’s insurance plan. UHCCF aims to award 20,000 grants by the year 2020. They have already awarded over 13,000.And the good news is that 88.9% of qualified, completed medical grant applications are approved. UnitedHealthcare Children’s Foundation has helped children such as Rylee, who was diagnosed with early onset progressive scoliosis. The UHCCF grant assisted with surgery, casts and braces. As a result, she’s now able to participate in life playing with other children and is even taking ballet lessons. Whitney is another child who received help from UnitedHealthcare Children’s Foundation. She was diagnosed with spastic cerebral palsy and encephalopathy. Her grants have assisted with the expense of feeding supplies, Botox treatments, speech therapy and medications as well as a gait trainer. As a result, her overall health is greatly improved. Families can use UnitedHealthcare Children’s Foundation grants for medical treatments for developmental disabilities such as Down Syndrome and autism and medical conditions including cancer, diabetes, hearing loss, cystic fibrosis, cerebral palsy and more. Families have used the grants to help pay for physical occupational and speech therapy, hearing aids, surgeries, prescriptions, orthotics and eyeglasses. One requirement of the grant is that the family has a commercial health benefit plan. If a grant is approved for a child, the Foundation will pay for approved services and items after the family’s commercial health insurance submits payment, if any. In order to pay for approved services/items after insurance, the Foundation requires very clear and detailed invoices/bills. They will require your tax identification number, contact information, dates of service, description of the service, cost, what insurance paid (if any) and the total amount due. In the event that your child must pay at time of service (e.g. co-pay), please provide a receipt, plus a detailed invoice/bill referenced above. Do you know a family in need who could use the help of a medical grant? Visit UHCCF to receive announcements and information to help get the word out on social media. 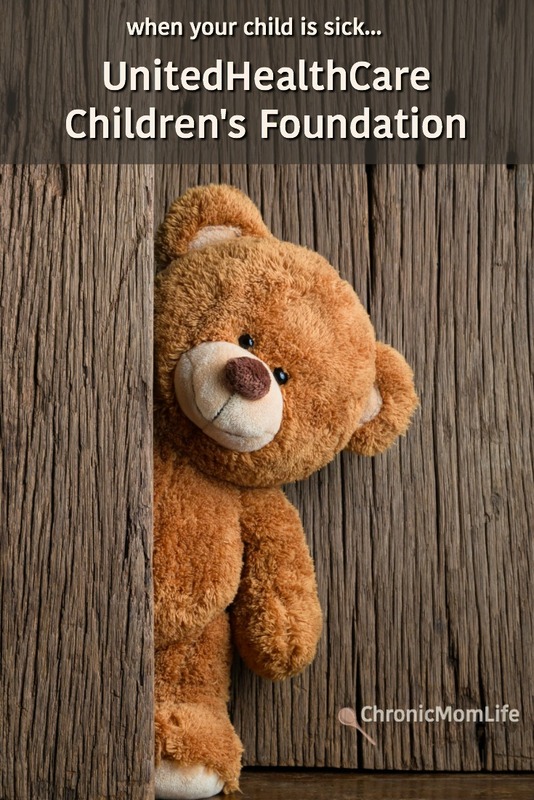 UnitedHealthcare Children’s Foundation is offering one of my readers a chance to win a $50 Amazon gift card. All you have to do is share this post! The giveaway ends June 16, 2017. This giveaway has closed. The winner is Holly Wright, who has been notified via email. Thanks for entering and sharing! (note from Marya) As a Christian, I am not pro-divorce and believe that wherever possible every possible effort should be made to heal marital difficulties. However, as a second wife myself I recognize that every family has a different story. Sometimes there are unworkable abusive or addiction situations, and sometimes the divorce has happened years in the past and everyone has moved forward with their lives. Divorced parents of children with special needs need our compassion and support to help maintain positive family relationships for everyone’s sake. Being a single parent is often times hard enough without the added stressors of parenting a special needs child. 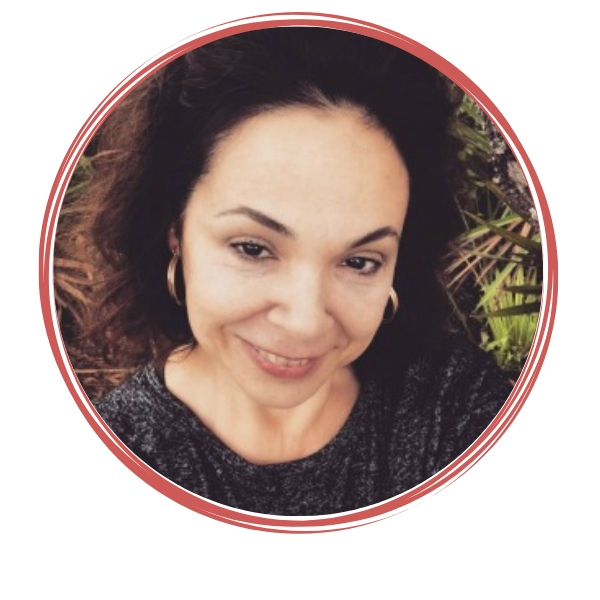 As America’s Divorce Coach I work with men and women who are managing the issues of divorce with dignity and respect for one another and their circumstances. I would like to share Jessica’s story with you. Jessica is what I call a ball of fire, she is the first one there when you need support or a helping hand. Jessica is one of the most devoted mothers I know. I am often awestruck by her courage, unfailing devotion to her son and seemingly ceaseless amounts of energy. In hindsight Jessica recognized that life had a different plan for her and her family. Ultimately, Jessica and her husband were unable to survive the stressors of raising their son and coping with his disability. Since she has had the benefit of time and has been able to maintain a positive relationship with her ex husband, she offers this wisdom to safeguard families from needless suffering between husbands and wives. It is hard enough to be managing the unique situations associated with parenting a special needs child without struggling during a divorce. Jessica is proof positive that you can divorce without drama and be exceptional co-parents for any child. Honestly, every year I dread Christmas shopping for my son. I never know what’s really going to click for him unless it involves music, a costume or a super hero. 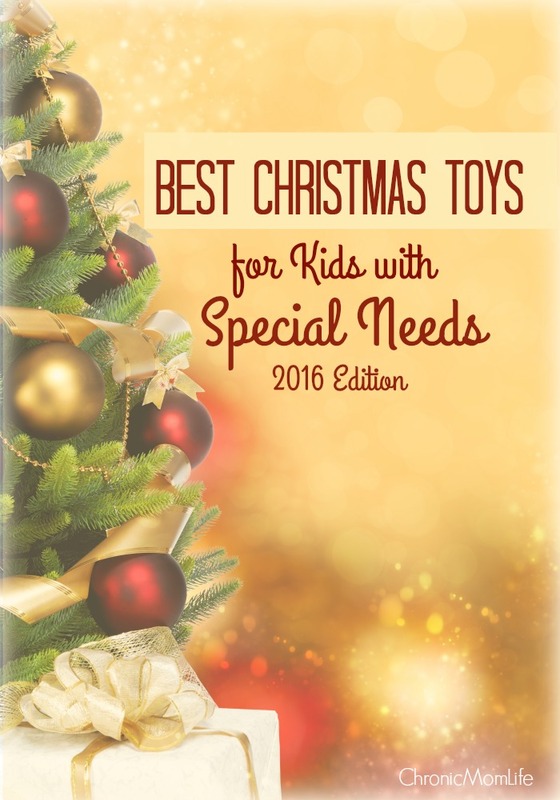 Finding suitable Christmas toys for kids with special needs takes a little more thought and time it might for so-called neurotypical kids. Several factors should be considered to ensure that you choose the most appropriate toys for your child. You’ll want to consider his or her personality traits, sensory issues and coping mechanisms. Can the toy assist in development? And most importantly, will your child actually want to play with it? When it comes to sensory stimulation, children with special needs fall into 2 distinct categories. Some will completely enjoy sensory products while others might shy away from them. Whatever side your child falls in, sensory toys would make a great buy as they offer the benefit of being both a source of enjoyment as well as an excellent tool for introducing sensations in a low-key way that does not trigger outbursts. Sensory toys come in a wide range of options with products for touch. There are also sensory toys that offer sensory information to muscles and joints (e.g. trampoline, vibration, and spinning toys). The key to giving your child the full sensory experience is to mix things up by buying different sensory toys. You know your child best. Be sure to avoid toys with sensory inputs your child dislikes. Simple, traditional games are a natural, budget friendly way to improve communications and social skills development. One of the biggest challenges that children with special needs face is impaired social skills. This can lead to frustration when they find themselves unable to interact in social situations at school or in the neighborhood. Socially interactive toys such as board games, language development play sets, and cause-and-effect toys make a great play and educational tool for children with special needs. Such toys teach essential social skills such as cooperation, sustaining a conversation, and so on while also helping them to develop good coping mechanisms when interacting with others. Another area where children with special needs struggle with is performing motor skills where precise movement of muscles is required to perform a specific task. Toys that promote motor skills can greatly improve their motor skills and their ability to participate in life. There are many options for toys that will improve motor skills. Be realistic about what your child’s present level of functioning is so he or she doesn’t get frustrated. For instance, options such as LEGOS, art & craft toys, and board games with small pieces would make an ideal toy for children with special needs who struggle with tasks that involve the use of hands and fingers. Improvement of the core and gross motor skills will also impact fine motor skills. Rebounder/trampoline – I suggested this one as it can do double duty for mom as well! We want to see our kids improve and succeed, but we should also remember toys are meant to be fun. And since you know your child best, go for toys that encourage their passions. Whatever his or her interest might be, shopping according to their likes helps to ensure that they actually enjoy the toys. It also helps the child to feel supported and understood which can be great for developing self confidence and communication. Due to their hypersensitivity, choosing toys for children with special needs can be a challenge. However if you take into account your child’s personality, the things that set him/her off, and keep the above suggestions in mind, you should be able to come up with some gift ideas that your child will love. What Does My Son Like? My son’s mantra could easily be Always Be Batman. If your child loves superheroes, there are t-shirts, bedding, action figures, DVDs and more. And then there is the iPad Mini. An iPad is a great investment for any special needs family. There are tons of developmental and communication apps which are generally pretty inexpensive. My son loves to listen to his music on his. Healthy Moving Membership – I love this program. It’s like having your own private studio, ready when you are. Totally mom friendly! I picked these out as a possibility for children with special needs, but you’ll need to determine if they’re a good fit or not. But chances are you have other kids that you’re shopping for. 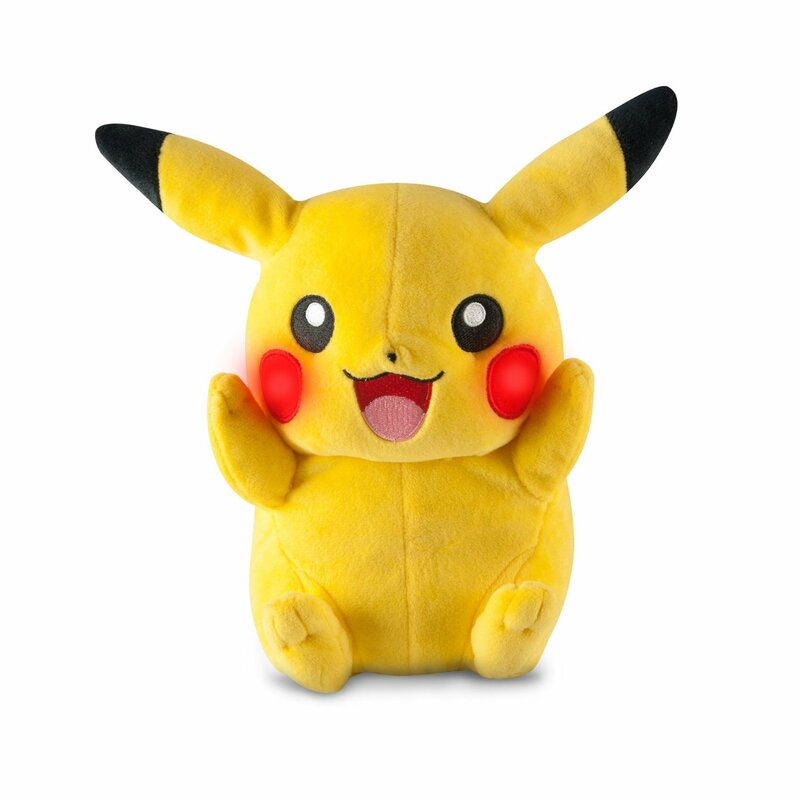 Pokemon My Friend Pikachu – Kids can cuddle up with My Friend Pikachu, a 10-inch high plush toy with an adorable face. Pikachu has some cool sound and light effects that will captivate your Pokemon fan. Recommended for kids aged 4 and above, it only weighs about 11.2 ounces, measures 8-inches from base to head, two more inches up to the ears and about 5.5-inches wide. The size is decent for young hands and kids will have no trouble picking up this lightweight plush toy. Snuggles My Dream Puppy – will be enough to capture anyone’s attention. This stuffed puppy is simply adorable to look at. The talented designers at Moose Toys made it to look and act (to some extent) like a real pup. Much like other stuffed toys from the Little Live Pets line, Snuggles reacts to certain actions initiated by the user. Kids will love to pet and play with Snuggles thanks to his animated functions. Fisher-Price Laugh and Learn Crawl-Around Learning Centre – If you are a mother searching for a fun toy that can help your crawling baby learn and develop, look no further than the Fisher-Price Laugh & Learn Crawl-Around Learning Centre. Toddlers will have a blast playing with this toy, which gives them plenty of hands on play activities that incorporate the use of sounds, songs, tunes and phrases. If this item sounds like a good toy for your little one, learn more about it by reading this Fisher-Price Laugh & Learn Crawl-Around Learning Centre review. 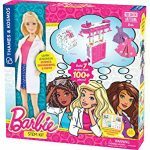 Barbie Stem Kit – The Barbie STEM kit is a wonderful way for children to experiment with Science, Technology, Engineering and Math all in one kit. It could be a great tool to help girls get interested in STEM. It shows Barbie and Nikki stuck in situations where they have to use logic, science, and smarts to solve problems. The learning process through this kit is very encouraging since it explains how different types of mechanisms work for different models. The various concepts of a building are not applicable to all models, so children get to think what they are doing, how they are going to do it, and how one modeling structure differs from another. Science couldn’t have been more fun than this STEM kit. The VTech Go! Go! 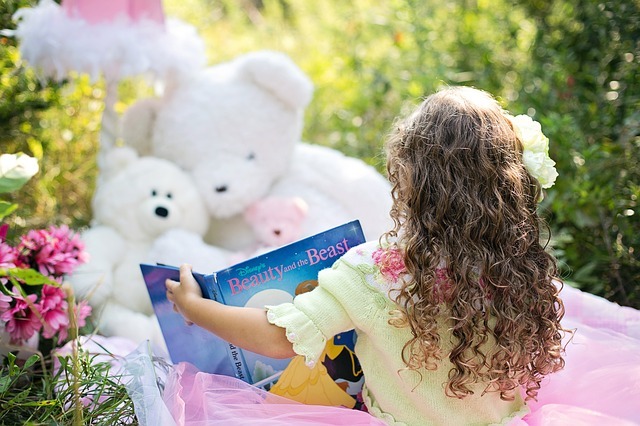 Smart Friends Enchanted Princess Palace is the perfect toy for kids aged 18 months to 5 years. It is designed to open up their imagination, develop motor skills and give them hours and hours of fun playtime. 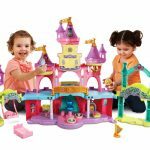 The Enchanted Princess Palace is a good buy recommended for 18 months to 5 years old kids and probably more suited to the little girls in your life. 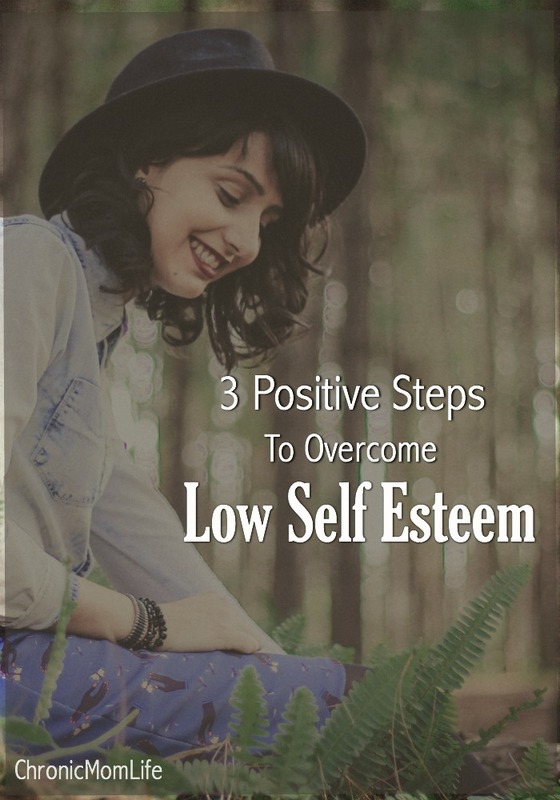 Low self-esteem and a lack of confidence can be caused by many factors. Most people think that to overcome low self-esteem, you have to look inside yourself and do a lot of navel gazing. But this isn’t necessarily true. We should also take a look at the external factors that might be contributing to chronic low self-esteem. You may have already spent a good amount of time looking inside yourself for all the reasons that you’re struggling. Let’s take a look at the larger space that you’re living in. Ask yourself these questions and spend some time honestly thinking about your answers. Sometimes we feel small because we’re living small. This doesn’t mean that you have to do anything crazy or beyond your means but think about ways to create new space in your life. Many people with low self-esteem find themselves living in a rut they can’t seem to escape. Maybe you’ve started to believe that you can’t do any better and you just stop trying new things. Over time, you’ll create a self-fulfilling prophecy without realizing it. Take a look at your life right now. What limitations have you accepted without challenging them? How can you create more space and margin in your life so that you can grow? We are deeply influenced by the people we spend the most amount of time with. This can be a good thing if you’re spending time with positive people, but not such a good thing if they’re negative and taking you with them. Ask yourself how you’d feel if you didn’t speak to a certain friend or family member for a week. Would you feel relieved at the thought of missing that person’s rants about her life? Now think about a person who is a consistent source of encouragement in your life. You’d probably start to miss that person’s good influence in your life. If there’s someone negative in your life, you don’t have to cut them out completely. But do look for ways to limit your time together and don’t be afraid to change the topic of conversation if things take a negative turn. However, if the relationship is so toxic that it’s causing damage to your emotional health, it’s perfectly okay to walk away. Often a lack of confidence and self-esteem can be caused by becoming too comfortable. You do the same things in the same way every single day. You don’t change things up. You don’t challenge yourself to experience new things and you don’t go beyond what’s safe and comfortable. This can cause you to stop growing as a person. When you go outside your normal and look for new experience, you open yourself up. You discover new ways to do things. You find solutions that you wouldn’t have come up with any other way. You learn more about yourself and the world around you. You can find new experiences into your life just by looking for opportunities outside of your comfort zone. Try a new restaurant. Volunteer in a different part of town. Take a road trip with no agenda and see where you end up. Your environment plays a big part in shaping your overall self-esteem, so don’t be afraid to look around at your life and make some needed changes. Surround yourself with people and experiences that build up your confidence and you’ll begin to overcome issues of low self-esteem.